The focus of this paper is a reflection on the nature of human heart (al-qalb), human mind (al-‘aql), and human hand (al-yad). The heart is the place of emotion—love or hate; the mind is the place of thought—right or wrong; the hand is the tool of power—justice or injustice. And the question is as to what is the tipping scale for the heart to love or hate; what makes the mind to think right or wrong; and what causes the hand to do justice or injustice? What is the role of faith in shaping the human heart, in forming the human mind, and in empowering the human hand? Is the Seerah, the life of Muhammad, peace be upon him, the source of love, right, and justice? Aren’t the parallel lives and trials of great messengers of God the best school of instruction for human lives? What can we learn from the parallel lives and trials of great companions, the ashāb, and their immediate followers, the tābi’ūn? We bring here two companions: ’Abdullah ibn ’Abbas and Muādh ibn Jabal with one of their followers: Al-Qadi Shuraikh ibn Al-Harith Al-Kindi as our witnesses that the heart is not vehicle to be plugged up, but a light to be on; that the mind is not a vessel to be filled, but a fire to be kindled; and that the hand is not a tool of abuse, but a means to do good. Hence, pure faith is not an excuse to be said, but a force to be directed toward a good character of men, the character of taqwā, as a force of protection from falling down; the character of ma’rūf, as a force of keeping in men the right moral spirit alive alongside preventing him from munkar (wrong conduct). And the aim of all of this is to open the way for a critique of pure faith in Muslims as some did the critique of pure reason in their culture. The Muslims need to examine their faith in a serious way to find out the right exit from the current crisis of the relationship between their heart, mind, and hand. Where is the Muslims’ pure faith? Is it in their heart only? Is it in their mind only? Is it in their hand only? How can the Muslims connect these three into a coherent whole for the good of humanity? The Seerah might give us a right answer to these questions provided that we open our hearts, employ our minds, and educate our hands. God willing, this is what I will try to do in this paper. The Seerah(1), the life journey of the Prophet, is more than a personal life of the Prophet. The Seerah is a historic mission of the Ummah that was made to be the best of nations in history. And the best of the best of the Ummah’s nation are those human characters that make it possible for the Ummah to be the best of all. There are two criteria for good character: taqwā and ma’rūf. Taqwā is protecting men from falling dawn, and ma’rūf is keeping in men the spirit of right moral alive. According to the Qur’an, race and colour are natural features of men. These features are not the core of humanity. The real code of humanity is taqwā. It is this insight of man that makes him human; it is this man’s ability to stand up against the storms of corruption (fesād) that makes him different from the rest. It is not man’s race or his colour that matter who he is. It is man’s awareness of where he came from and whence he is going that matter. Man’s acquaintance with different tribes and nations is meant to strengthen his taqwā. While the idea of taqwā in the Qur’an stands alone, the idea of ma’rūf stands as a pair with munkar. Thus, when the Qur’an declares that the Ummah of Qur’an was the best in history, it does so by an emphasis on the right cause of promoting the right moral in man and preventing the wrong conduct of man. Putting the right moral (ma’rūf) before the wrong conduct (munkar) shows that the right is a principle of human life and that the wrong is an accident of human behaviour which must be under surveillance of those who know (‘arafa, ma’rūf) the difference between the right and wrong in history. The purpose of the prophetic mission of Muhammad, peace be upon him, and thus his Seerah as such, was not to rule the whole world, but to improve the whole moral character in man so that he may rule the world with a loving heart, a considerate mind, and a rightful hand. The Prophet Muhammad’s, peace upon him, statement: “I was sent by God only to improve man’s morality” is the core of pure faith. But, what kind of morality we are talking here? Indeed, we are talking here about the morality of love, the morality of right, and the morality of justice. All of these ideas are contained in the idea of salām, peace, i.e. the peace of heart, the peace of mind, and the peace of hand from which comes the idea of the faith of Islam, meaning a peaceful recognition of and submission to God. We have selected three men from the shadow of the Prophet’s Seerah to represent the spirit of love, right, and justice as we try to sense the aroma of pure faith of such men. They are ’Abdullah ibn ’Abbas, Muādh ibn Jabal, and Al-Qadi Shuraikh ibn Al-Harith Al-Kindi. The people of taqwa (the people of high moral conscience) are those who are capable of protecting themselves from falling into the noose of shirk (the belief in false gods). right caliphs? Not at all. This isn’t the reason why we selected ’Abdullah ibn ’Abbas, Muādh ibn Jabal, and Al-Qadi Shuraikh ibn Al-Harith Al-Kindi for our examination in this paper. The reason behind our selection of these three remarkable Muslim personalities is that their moral characters were shaped in the shadow of the Seerah of Prophet Muhammad, peace be upon him. In fact, ’Abdullah ibn ’Abbas was not great just because he was the Prophet’s cousin— there were many other Prophet’s cousins who could not reach such a level of prudence—but because he was able to hold up his pure faith in his heart as a sign of his taqwā, which protected him from falling down in big trials of his life and the life of the nascent Ummah in Medina, Basra, Kufa, and Damascus. The fulfilment of the Prophet’s prayer for ’Abdullah to become the most knowledgeable man in the meaning of the Qur’an was a predestined environment of ’Abdullah’s heart, the heart that was born three years before the Prophet’s hijrah, migration, to Medina. It is said that he received the Prophet’s saliva in his mouth when he was presented to him after birth. ’Abdullah ibn ’Abbas migrated to Medina with his father Al-‘Abbas ibn ‘Abd al-Muttalib before Mecca was free. It is reported that ’Abdullah’s mother Umm Fadhl was the second woman after Khadijah to embrace Islam. His maternal aunt Maymuna was a wife of the Prophet. So, ’Abdullah had the access to the Prophet’s personal life as well as his access to his prophetic mission. While in Medina with the Prophet, the young ’Abdullah did not miss the opportunity to record everything that he saw and heard from the Prophet. He somehow knew that each and every word and action of the Prophet one day would be an important asset to the Ummah. Perhaps it was not so much of his being rationally aware of the importance of his position and his task as it was the divine guidance that accompanied the needs of the Prophet. Even the Prophets cannot carry their prophetic task alone. They need the assistance of those with loving hearts, strong minds, and just hands. ’Abdullah ibn ’Abbas had all of that, but more than anything else he had the heart of light on. He had the taqwā that made him different from the rest of the Prophet’s cousins as well as of the Prophet’s close allies and friends. In the aftermath of the Prophet’s death, ’Abdullah ibn ’Abbas continued to live up to the prophetic mission. He did not miss the occasion to gather the relevant information from the reliable companions of the Prophet, but also to give the truthful information of his knowledge about the life of Prophet, peace be upon him. Not surprisingly, ’Abdullah ibn ’Abbas became the most trust worthy source not only of the Prophetic Seerah, as the way of life of the entire Muslim Ummah, but also as the seat of knowledge of the divine message. Of course, there were knowledgeable people in Medina besides ’Abdullah ibn ’Abbas—perhaps more than he himself—but what made him different from the other people was his character of taqwā, his strength of spirit, his open mindedness, and his ability to communicate with all individuals and groups for the sake of the peace and security of the Ummah. Simply, ’Abdullah ibn ’Abbas had a heart of love for God and man. He was and still is a model of this love for us today if we want to have the right to claim that we belong to the Universal Ummah of Muhammad, peace be upon him. It was the Right Caliph ’Umar ibn al-Khattab who rightly recognized the wisdom and courage of ’Abdullah bin ’Abbas. As yet in his teens, ’Umar provided him the seat in the assembly of the elders of Medina, which was composed of the heroes of Badr. He called ’Abdullah ibn ’Abbas the Tarjumān al-Qur’ān, the “Translator of the Qur’an“. The Right Caliph ’Uthman also used ’Abdullah’s service not only in matters of faith but also in matters of social and political issues. Indeed, it is the public role of ’Abdullah ibn ’Abbas that attracted our attention more than anything else. As a notary of the town, he had the chance to meet all sorts of people and to learn from them the state of nation, so to speak. He gave advice to the people, but he also took advise from them as they presented their grievances to him. His social and political role increasingly became important as the Muslim Community became dangerously divided in the aftermath of the assassination of the Right Caliph ’Uthman and the dispute between the Right Caliph ’Ali bin Talib and Muawiya ibn Abu Sufyan in the wake of it. Indeed, ’Abdullah ibn ’Abbas is one of those noble men who did not hold the side for or against the other individuals or groups. He was on his own. Sad and grieved because of the bloodshed among the ashāb—his brothers of the same blood and faith—’Abdullah ibn ’Abbas was able to speak to all, even to the dissident Kharijites. He was sent by the Right Caliph ’Ali to speak to them before the battle in order to convince them to give up their dissidence and to join back the Right Muslim Community. After a debate whether to allow him to speak or not, the group that was in favour of him speaking to the big crowd of the Kharijites prevailed and he spoke to them. The result of his communication with the staunch Kharijites was that thousands of them left the dissident camp and pledged the loyalty to the Right Caliph ’Ali. Qur’an that ’Abdullah ibn ’Abbas was designated as one of the four honorable ashāb called ’ibādullah, the servants of God, the other three being ’Abdullah ibn ’Umar, for his knowledge of hadīth, the traditions; ’Abdullah ibn ’Amr, for his piety; and ’Abdullah ibn Zubayr, for his courage. We can count many more of ’Abdullah ibn ’Abbas’ personal and public virtues, but the main purpose of this encounter with this great sahābī is to grasp his character of taqwā represented in his guiding thoughts about different issues of human nature. It is interesting how he defines the nature of sin. He thought that there is something about sin that is more vicious than the sin itself. remorse for his murderous sin. Similarly, those who kill hundreds of innocent people on streets, in mosques and churches have no regret or shame. On the contrary, they are proud of their murder. This mindset of some people is more scary than anything else. 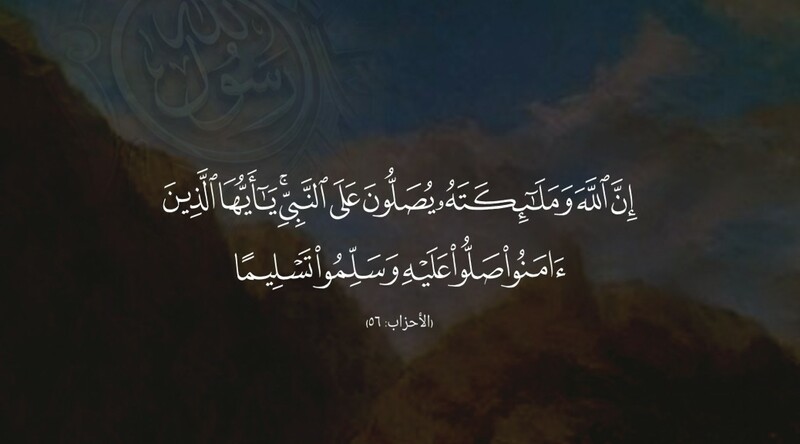 Indeed, the observation of our great teacher ’Abdullah ibn ’Abbas about the graveness of the sinner’s state of shamelessness in the aftermath of his grave sin is a warning to us today to be aware of the sickness of the heart, mind, and hand of man. The cure of this sickness lies in returning back to the basics of humanity, the humanity that we find in the guidance of this noble man who teaches us once again that, like the man’s fear of the wind which would sweep away the door’s curtain while he was committing the sin—yet his heart did not tremble at the fact that God was watching him, is worse than the sin he is about to commit. ibn ’Abbas remarks that remorse over an evil propels a person to abstain from it; pondering over good urges a person to do it. Therefore, he teaches us, that a person who has the following four qualities is winner: honesty, modesty, good character, and gratefulness. Finally, let us listen to this ’Abdullah ibn ’Abbas’ insightful guidance when he said that there are five things that are equal or even more preferable for man to do than to engage in an action of military jihād: First, man should speak right and in an appropriate time; man should not speak about matters that do not concern him because this amounts to futility, and it may well be a sin. Second, man should not dispute neither with a foolish nor with a forbearing person; the forbearing person may cause him to become angry and the foolish person may offend him. Third, man should speak about his brother in his absence as he would like him to speak about him; man should pardon his brother for the things which he would want him to pardon him. Fourth, man should treat his brother as he would like him to treat him. And fifth, man should do deeds like a person who is fully aware that he will be praised for his good work and be rebuked for his evil doing. Knowledge is a comforting friend in times of loneliness! Knowledge is the discerning proof of what is right and what is wrong! Knowledge is your most powerful sword against an enemy! Knowledge is your most dignifying clothing in the company of close friends! If the honorable sahābī ’Abdullah ibn ’Abbas is a good example, (uswah hasana), for a sobriety of human heart (taqwā), the honorable sahābī Mu’adh ibn Jabal is a good example for a clarity of human mind (ma’rūf). Ibn ’Abbas’ taqwā we find the highest degree of human conscience protecting man from the Adam’s stigma of falling down; Ibn Jabal’s ma’rūf we find the highest degree of human cognition that enables man to make the right decision. Ibn ’Abbas had an insightful eye of the heart; Ibn Jabal had a cognitive sense of mind. Ibn ’Abbas was a Prophet’s closest cousin of a special care; Ibn Jabal was a Prophet‘s closest friend of a special love. Ibn ’Abbas was born in Mecca; Ibn Jabal was born in Medina. Ibn ’Abbas’ life represents the struggle for the salvation of the soul of Mecca; Ibn Jabal’s life represents the struggle for the strengthening of the mind of Medina. Ibn ’Abbas was raised by the Prophet’s right hand; Ibn Jabal was guided by the Prophet’s right word. Ibn ’Abbas stayed in Medina with his eye to Mecca, his birthplace; Ibn Jabal was sent to Yemen with his eye to Medina, his birthplace. Both Ibn ’Abbas and Ibn Jabal were at the forefront of taskforce of the Muhammad’s, peace be upon him, prophetic mission in Mecca, Medina, and beyond. For Ibn Abbas it was not necessary to carry out his wisdom personally beyond Medina. The vibration of his knowledge and wisdom was spreading by its own merit. On the other hand, Prophet Muhammad, peace be upon him, sent Ibn Jabal to Mecca, after its liberation, to help his deputy Atta ibn Usay there teach the people of Mecca about the fundamentals of dīn. However, the story of Ibn Jabal’s mission in Yemen is the most enlightening one. This story marked the groundbreaking for an edifice of the whole of Islamic jurisprudence. Ibn Jabal’s answers to the Prophet’s questions as to how he would judge in Yemen made legitimate the principle of ijtihād, and the use of the common sense in matters of human life, based on his insight, was fully recognized later. “I’ll relay on the Qur’an and the Sunnah for my judgment”, he said to the Prophet. “But if you find in neither the Qur’an nor the Sunnah the answer to the questions people ask, what would you do then”, asked the Prophet. “Then, I will exercise ijtihād to make up my mind”, Ibn Jabal promptly replied. And Prophet Muhammad, peace be upon him said: “And, let it be so”. But, there is a sad part of the story of Mu’ādh’s departure to Yemen, and that is when the Prophet said to him: ”O Mu’ādh, perhaps you shall not meet me again after this year. Perhaps when you return you shall see only my mosque and my grave”. Indeed, when Mu’ādh ibn Jabal came back from Yemen Prophet Muhammad, peace be upon him, had passed away, but Ibn Jabal’s mission did not stop there. The Right Caliph ’Umar had a new mission for him. He sent him to the people of Banu Kilāb to allocate their stipends and to distribute their alms giving of their rich to their poor. It is said that Mu’ādh’s wife complained to him because he was not bringing her gifts as a reward for his job. Mu’ādh replied that he couldn’t because he had a supervisor over his neck appointed by the Caliph. When the Right Caliph ’Umar heard about Mu’ādh’s reply to his wife, he summoned him to check who was that supervisor on his behalf when he did not appoint one. Mu’ādh was somewhat embarrassed but explained to the Caliph that it was the only reasonable answer to his wife to leave him alone to his honourable task. The Right Caliph ’Umar guessed the Mu’ādh’s shrewdness with his wife and awarded him with special gifts. Only great men are capable to carry out a heavy burden of Ummah. Even their short lives make long remarks on the soul and mind of the Ummah. Mu’ādh ibn Jabal was one of the great men of the Muslim Ummah who lived short, but left long-lasting mark on the soul and mind of the Ummah. His valuable hadīth reports are important in number and in content. But, the character of Mu’ādh’s heart, the power of his mind, and the justice of his hand make him one of the greatest men in history. In less than four decades of his life Mu’ādh ibn Jabal achieved more than many people who lived twice longer. His death in Palestine after a plague carries a special meaning of a man who devoted his life for a cause that is bigger and longer than his life. Thus, the life of Tarjumān al-’Aql is a best parallel to the life of Tarjumān al-Qur’an. In these two tarjumāns, i.e. the translators of heart and mind, we find the connection between the cause and effect of taqwā and ma’rūf, i.e. protection from falling down and keeping the pace of moving on a positive energy of the Ummah to live a decent life. The lives of ’Abdullah bin ’Abbas and Mu’ādh ibn Jabal, as shaped in the shadow of the Prophet’s Seerah, are best proof of the claim that the pure faith is a great motivation for a good heart, a sound mind, and a right hand of man in all times. One hour of justice is better than sixty years of worship! Even if I ruled in favour of an offensive (zālim), he should await a punishment! And even if I ruled against an offended (mazlūm), he should await a justice! Perhaps we could stop here, but then our story from the Seerah would be short of delivering the message of today. Therefore, we have to bring here a witness of the witnesses of the Prophet’s mission. We have to highlight one of the best hands of justice, if not the best of all, namely the Yemeni judge Al-Qadi Shuraikh ibn Al-Harith Al-Kindi in order to grasp the validity of the whole message. We are not about his dates of birth and his lifetime, which is more than one hundred years. We want to connect Al-Qadi Shuraikh with his teacher Mu’ādh ibn Jabal who gave him the first lessons about the meaning of pure faith. Al-Qadi Shuraikh neither saw the Prophet nor heard from him immediately. Al-Qadi Shuraikh heard it from the Prophet’s mediator Mu’ādh ibn Jabal. And here is the whole point we want to make: The message that is well understood and successfully carried out by its mediators beyond the borders of its initiators is a genuine message. It is the sense of the meaning of a hadith in which is reported that the Prophet Muhammad, peace be upon him, said that his bothers will be close to him in the hereafter. The ashāb, of course, asked the Prophet to tell them who are his brothers. And the Prophet told them that his brothers are those who didn’t see him, but believe in him as if they saw him. No difficult to guess that those who profess today the two shahādah of lāilāhe illallāh and muhammad rasūlullāh are the Prophet’s brothers who might be close to him in the hereafter. They are the ones who didn’t see the Prophet, but believe in him as if they saw him. They receive the Prophetic message of the Qur’an and the Sunnah through mediators who are designated to be the heirs of the Prophetic legacy. They are called the ulamā’ of the Ummah. They are supposed to be the tarjumāns, the translators of truth, which is in the Qur’an and in the Sunnah. Indeed, they are the hearts and minds of the Ummah who can make the right hands for the good of humanity. The honorable sahābī ’Abdullah ibn ’Abbas was a teacher of human heart, the honorable sahābī Mu’ādh ibn Jabal was a teacher of human mind, the honorable tābi’ī Al-Qadi Shuraikh ibn Al-Harith Al-Kindi was a student of both the teacher of heart and the teacher of mind who taught him how to become a right hand that would keep in man right moral (ma’rūf) and prevent him from wrong conduct (munkar). Al-Qadi Shuraikh ibn Al-Harith Al-Kindi did that in the most honourable way so that we have before us a hard proof that the pure faith of heart and the pure faith of mind are preconditions for the pure hand of justice. With the Almighty Allah’s merciful permission the Prophet Muhammad, peace be upon him, offered to the whole humanity his pure faith from the pure well of sharī’ah, i.e. the path to the well of wisdom from God. The purity of faith is the core concern of the last covenant of God with men, the Qur’an. The keepers of this purity of faith are those who have the pure heart (tawqā), who have the pure mind (ma’rūf), and who have the pure hand—the resilience to corruption (fasād) of the pure faith of man. The Seearh of the Prophet Muhammad, peace be upon him, is nothing else but a deep ocean, where the pearls of pure faith are laying down to be picked up for the necklaces to be put once again on the neck of the Ummah that was once declared to be not only the best but also the most beautiful of all in history. I have picked up three such pearls from the ocean of the Seerah to show that it is possible to regain a confidence in the pure faith provided that it finds its space in the heart, in the mind, and in the hand of the Ummah. Without a proper heart-mind-hand coordination there can be no historic success of the Ummah. We can see that a disconnection of these three waves, heart-mind-hand, of communication is disastrous for our Ummah. Here is a practical example of the connection of heart-mind-hand operation in the light of pure faith. It is reported that Al-Qadi Shuraikh ruled out against an expectation of the Right Caliph ’Umar regarding a horse he had purchased. The horse got hurt while ridden and ’Umar wanted to return him to the owner. Al-Qadi Shuraikh gave the verdict that this was not right for him to do if the horse was ridden without a permission of the owner. The Right Caliph ’Umar was not fully pleased but accepted the Qadi Shuraikh’s ruling. One would expect that the mighty hand of the Caliph ’Umar would punish the young and inexperienced judge, who acted naively in the spirit of his pure heart and mind. But, the hand of the Right Caliph ’Umar was pure before it became mighty. Instead of a punishment for his disobedience or rebellion against the power, the Right Caliph ’Umar rewarded the Al-Qadi Shuraikh ibn Al-Harith Al-Kindi as the qādī of Kufa. This was just a beginning of a long career—some say the longest in the Muslim history—of his judicial performance of sixty years during the reigns of the Right Caliph ’Ali ibn Tālib, Mu’awiya, and Yazid ibn Mu’awiya. Probably, it is this length of his judicial duty that prompted him to say that one hour of justice is better than sixty years of worship. If the case of the Al-Shuraikh with the Right Caliph ’Umar was an isolate incident, we would not be able to conclude that it was a matter of the real coordinative action of heart-mind-hand in the light of pure faith. But, we have a similar case with the Right Caliph ’Ali who had a dispute with a Jew, who allegedly had stolen his shield. The Caliph instituted a claim in the court of Al-Qadhi Shuraih, who asked him to provide witnesses. The Caliph ’Ali pointed out to his son as his witness and his free servant. However, this kind of testimony was not acceptable to the honourable qādī. The qādī explained to the Caliph that a son cannot be a witness in favour of his father in his dispute with another, nor a servant, whether free or not, can be a witness in favour of his master. So, the qādī dismissed the Caliph ’Ali’s claim. Again, one would expect that by doing so the qādī had finished his judicial carrier. On the contrary, the Caliph ’Ali was cheered by the fact that he saw before himself a man of strong character who didn’t care what the political power thinks when the right judgment of the pure heart in coordination with the pure mind is concerned. This is the way how an enemy becomes your friend. Due to this extraordinary experience of justice, the said Jew returned the stolen shield to the Caliph ’Ali. For the first time the Jew sensed the whiff of pure faith. As a result, he embraced the new faith to the full of his heart and mind. He sacrificed his life at the Battle of Siffin as a sign of his loyalty to the Caliph ’Ali. Of course, we didn’t pretend to find a final solution for the today’s crisis of our Ummah, but we tried to highlight through some witnesses of the Seerah the problem that might lead us to think seriously about finding a solution. And the today’s problem is in the apparent lack of communication between the power of faith, the power of mind, and the power of hand. It is evident that neither in the individual nor in the collective conscience of Muslims we can recognise a constant coordination between these three powers of their spiritual and physical performance. The difference between the critique of pure reason and the critique of pure faith is that the reason has its limitations and the critique of these limitations is comprehensible by the reason itself. Faith, on the other hand, seems not to have its limitations, and thus the critique of pure faith is inconceivable. It seems as if the faith is neither measurable by internal nor by external measures. But, is that really so? Isn’t it possible to put faith, I mean the Muslim faith, under precise measures both internally and externally? Isn’t it plausible to initiate in our discourse the critique of pure faith with an aim of defining its limits in the real world affairs of our times? Isn’t not the time that we Muslims think hard to see how we can translate the power of pure faith into the power of useful reason into the power of fair hand? To achieve that goal we have good examples in the Seerah of the Prophet, in the hearts of the ashāb, in the minds of the tabi’ūn, in the hands of the right caliphs, and in the will of the Ummah, who is waiting to see its leaders find the way for an effective communication between these three powers: the power of faith, the power of mind, and the power of hand. Time is not on our side. We have to start now. Allah Almighty has given us everything we need. It is now time that we do our job. Allah is watching us! The honourable Abdullah ibn Abbas, Mu’ādh ibn Jabal, and Al-Qadi Shuraikh ibn Al-Harith Al-Kindi were fully aware of that. Are we aware of that today?